As I mentioned back in June I decided to join a gym, because I was struggling to get myself to workout at home. Now that I have a set schedule where I workout from 6am-7:30am I have upped my game once again, to include a few extra items to improve my workouts. 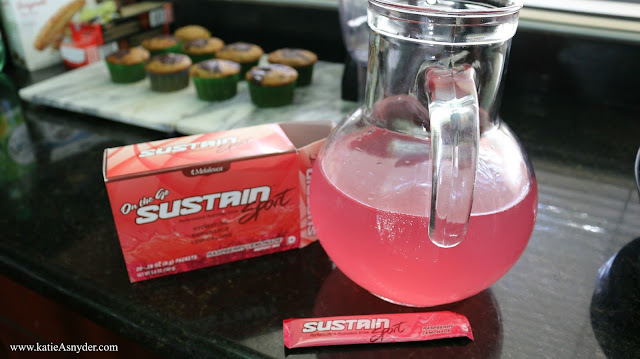 Whilst working out I sweat, I know most girls don’t like to admit that but I will freely, as I feel like its a symbol of my work for the day lol, but I also start to lose energy about half way through my workout so I have started to incorporate Sustain Sport. This is an electrolyte drink similar to Gatorade or powerade, just without the excessive sugar and calories. I love the Raspberry Lemonade the Grapefruit, what I do is take a normal bottle of water with me and halfway through my workout I add in half a packet if I have 8 ounces of water or 1 whole packet if I have 16 ounces of water. 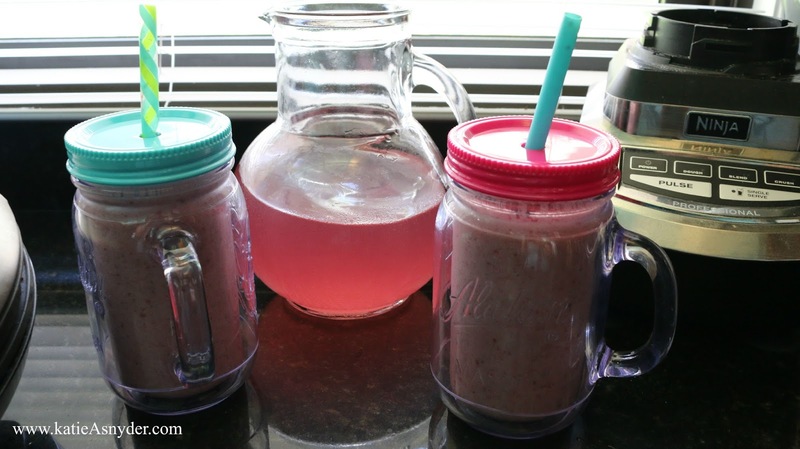 This will replace the electrolytes you burn whilst in the gym, without overloading your blood sugar. After my workout I enjoy a protein shake, in a blended I add 2 bananas, 2 handfuls of strawberries, 2 Sun Chlorella tablets, 2 scoops of ProFlex Protien Powder, and 16 ounces of water, then blend and enjoy. As a quick side note, I don’t drink the entire shake, my husband actually takes half, so if your making this just for yourself then cut it in half.